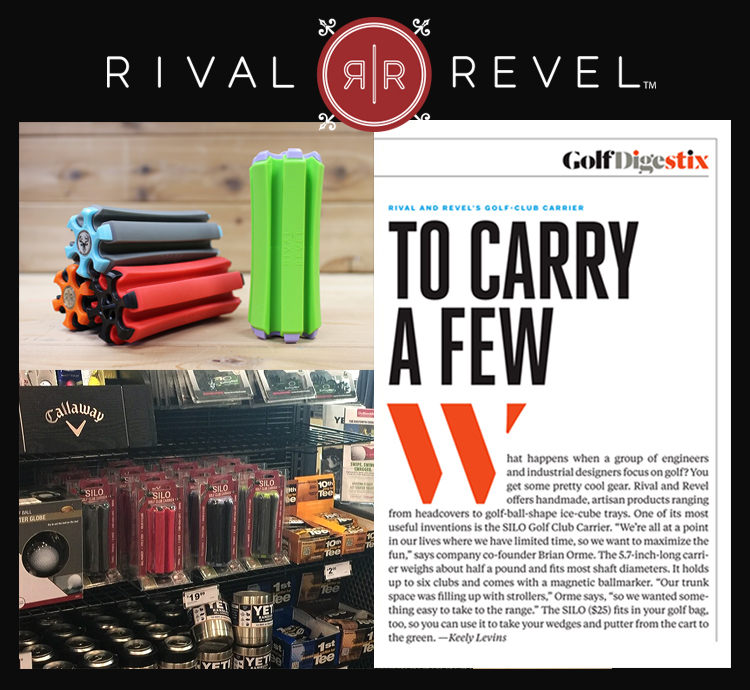 DESIGNLYNX invented, designed, and engineered the SILO Golf Club Carrier for Rival and Revel. By researching pain points in the activities of playing a round of golf, taking clubs to the driving range, cart-path only days, or transporting loose clubs - we were able to brainstorm around potential solutions. This patent-pending device is based on simplicity and carries up to six golf clubs while eliminating club chatter. It is 15% the weight of carrying your traditional bag to the range. We utilized a number of our capabilities including Research, Industrial Design, Design-for-Manufacture, Mechanical Engineering, and Production Support to create the SILO. DESIGNLYNX also specializes in package design. 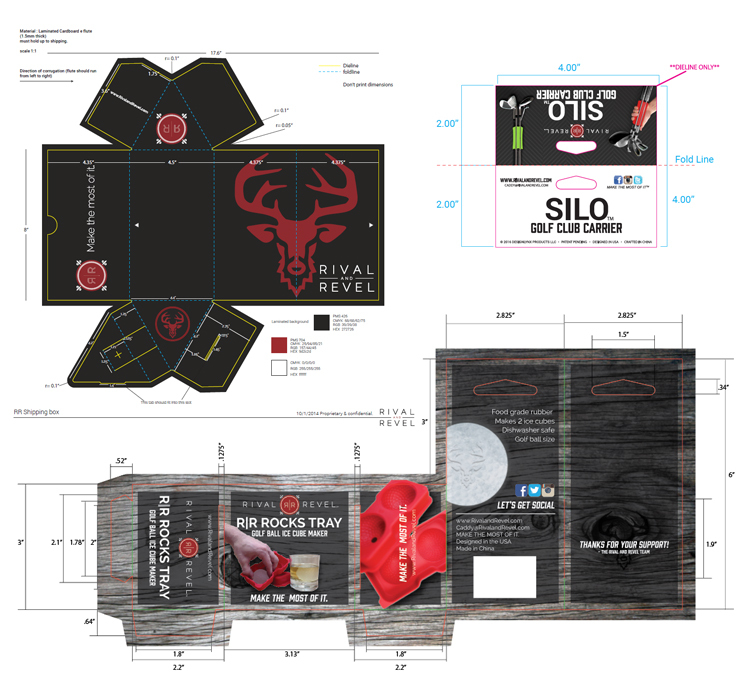 For RIVAL AND REVEL, we created a retail and shipper packaging design that is not only functional but also maximizes shipping efficiency to reduce cost. The retail package design maintains different requirements compared to online shipping terms stipulated by Amazon. We were able to combine all of these factors into the most optimal box for both shipping and retail functionality.